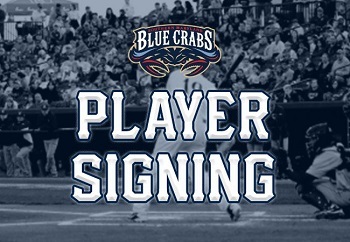 The Southern Maryland Blue Crabs have announced the signing of right-handed relief pitcher, Andrew Johnston for the 2019 season. This St Louis native, Johnston was drafted by the Colorado Rockies in the 9thround of the 2005 MLB Amateur Draft right out of the University of Missouri Columbia. Johnston spent six years in the Rockies organization before making his debut in the Atlantic League in 2013. Johnston enters his first season with the Southern Maryland Blue Crabs and seventh in the League. He joined the Road Warriors last season and posted a 3-3 record with a 12 saves and 24 strikeouts over 49.0 innings pitched as a reliever. This came after he spent four years as a relief pitcher for the Sugar Land Skeeters from 2014 to 2017. Before his time with the Skeeters, Johnston was a relief pitcher for the Camden Riversharks, former team of the Atlantic League.